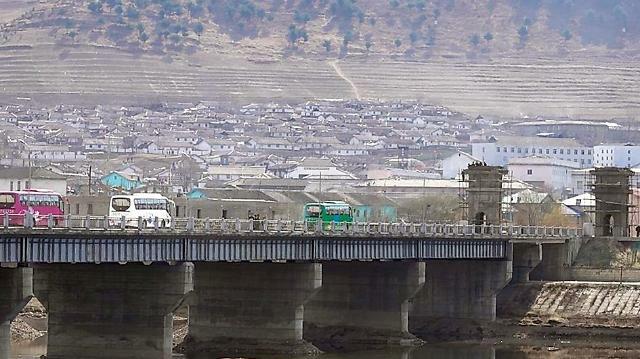 JIAN, China -- China and North Korea on Monday officially opened a new cross-border bridge halfway along the Yalu River, offering clues to their possible expansion of bilateral economic exchanges amid ongoing international sanctions. Four tourist buses arrived in China from North Korea via the new bridge at 8:20 a.m. Monday before returning to the North about one hour later carrying about 120 passengers. According to a local tour company, the tourists are planning to return to Jian around 5 p.m. after visiting attractions in and around Manpo. A source in the border area told Yonhap News Agency that China's provincial governments appear to be boldly trying to cooperate with North Korea in response to their demand for economic development. 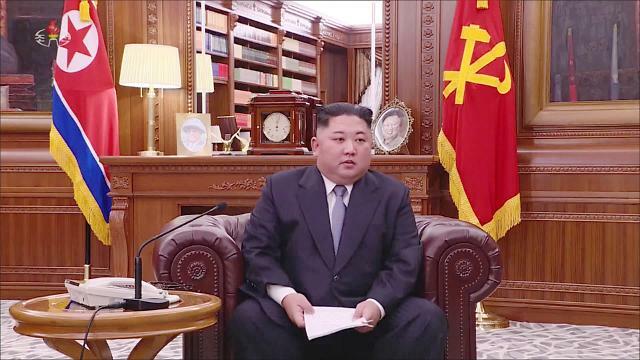 "North Korea's denuclearization has not been implemented, but the environment surrounding North Korea and China appears to be partially changing," the source said. 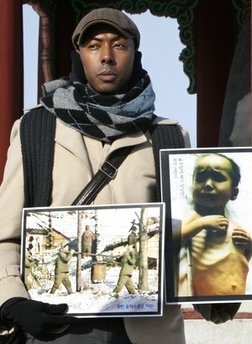 "China may not expand its economic cooperation with North Korea considerably in consideration of its relations with the United States. But the opening of a new bridge may signal expansion of bilateral economic exchanges," said the source. In an apparently related move, China has been speeding up the construction of an expressway linking Jian with Tonghua, an industrial city in Jilin Province, triggering speculation that the two countries may be building a new bilateral logistics route.